Lee Fisher, from Huntingdon Beach, California, won our Open 2018 Predictor Quiz this week on countback from Sherm Haworth, from Albuquerque, New Mexico. 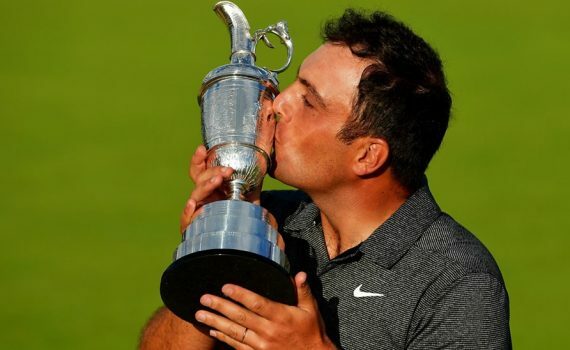 Both selected Francesco Molinari to win and had second placed Justin Rose in their team of four. However Lee’s team had a combined World Ranking of 335 places compared to Sherm’s 40 places, so Lee was declared the winner. Lee wins some Wishon Golf apparel from our new Wishon Golf catalogue. We are also going send Sherm something nice from the range for his performance in the Predictor Quiz. Third place went to Ercole Soncini, from Milan, Italy, who will have been celebrating Italy’s first major winner. Ercole was the only other person to select Francesco to win. He will receive some Wishon Golf merchandise. The next Predictor Quiz will involve the US PGA Championship at Bellerive Country Club, in Missouri, from August 9-12. Mitsubishi wins the Driver shaft count. Mitsubishi wins the Total wood shaft count. Mitsubishi wins the Fairway shaft count. Mitsubishi and Aldila Combined have 70 driver shafts in play at the Open Championship! Tensei is the number one shaft brand at the Open Championship. Aldila Rogue Silver 130 launched on European Tour last week at the Scottish Open and 4 parts went in play that week and it came in T6 this week at the Open Championship with Kevin Chappell. This is his third win in six starts and he moves to Sixth in Official World Ranking. Justin Rose and Rory McIlroy finish T-2 playing MItsubishi in Driver and Kevin Kisner also finishes T-2 playing Aldila in Driver. Additionally, Eddie Pepperell finishes T-6 playing MItsubishi in Driver and Kevin Chappell finishes T-6 playing new Aldila Rogue Silver 130 in Driver! Finally, the winner of the last SEVEN consecutive Majors has won playing either Mitsubishi or Aldila in Driver.